This post about CrossFit Post-Workout Nutrition is sponsored by Zevia. Zevia is an official sponsor for the 2016 Reebok CrossFit Games and is proud to support a fitness regimen that takes a firm stance against “big soda” and actively fights the sugary beverage industry. Now that I’m about 2.5 years in to my CrossFit journey I think it’s safe to say it’s changed my life. Since starting CrossFit my body has completely changed, I have new friends and a new community to be a part of, my confidence has improved immensely, I’m stronger and fitter than ever before, I started competing, I changed the way I eat for the better and I found a way to stay fit that I’m deeply passionate about. One of the things I love most about CrossFit is how it takes goals away from aesthetics and places them on performance, and in order to perform, you need to eat and you need to eat well. In particular CrossFit post-workout nutrition is a very important part of any successful training and recovery plan. The way I see it, you’re putting in all that dedication and hard work at your box, so why wouldn’t you show your nutrition plan the same care and discipline? A healthy post-workout nutrition plan helps the body recovery faster, reduce soreness, increase strength and muscle size and most importantly, train again soon! A key component for all us CrossFit addicts! When it comes to healthy eating, I think it’s important to be able to enjoy special treats but typically “zero calorie” or “sugar-free” grocery items are not exactly health food winners. They usually contain a bunch of chemicals and artificial ingredients that we’d rather not put in our bodies. 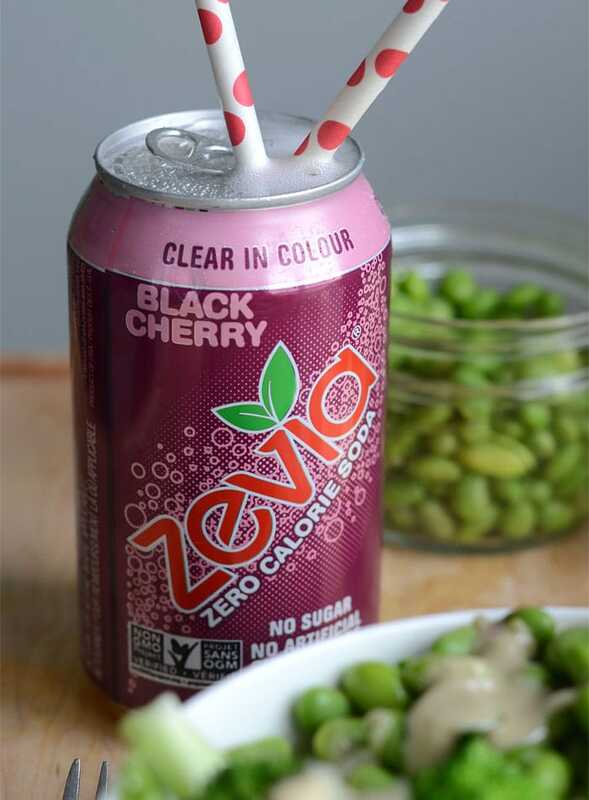 In comes Zevia Zero Calorie Soda! I’ve been drinking Zevia for years as an alternative traditional soda. I love it! I think it’s really cool how the root beer and other traditionally dark-coloured flavours are actually clear. The way it should be, not coloured with weird artificial ingredients! My favourite flavours are Dr. Zevia, Cream Soda, Ginger Rootbeer and Cherry Cola. 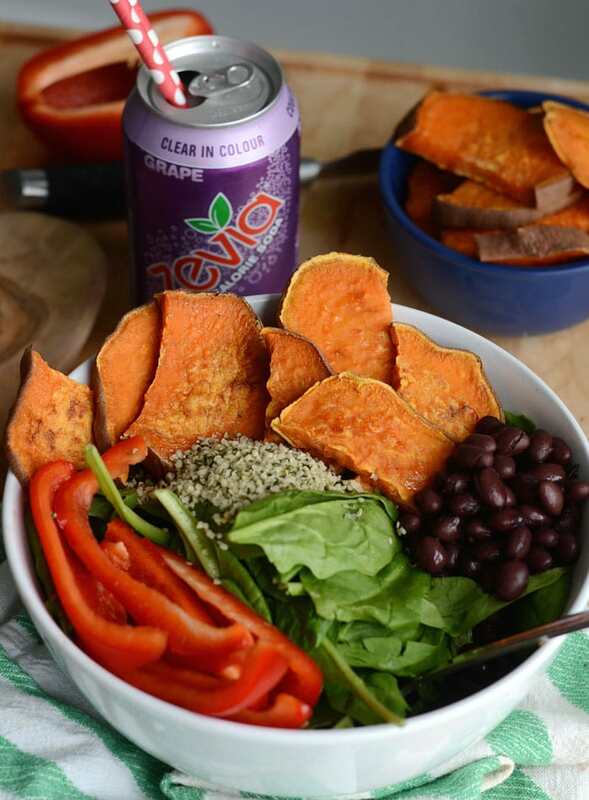 Need some Zevia inspiration? They’re doing some pretty cool things over on their Instagram feed, as in waffles, popsicles and all sorts of fun cocktails! 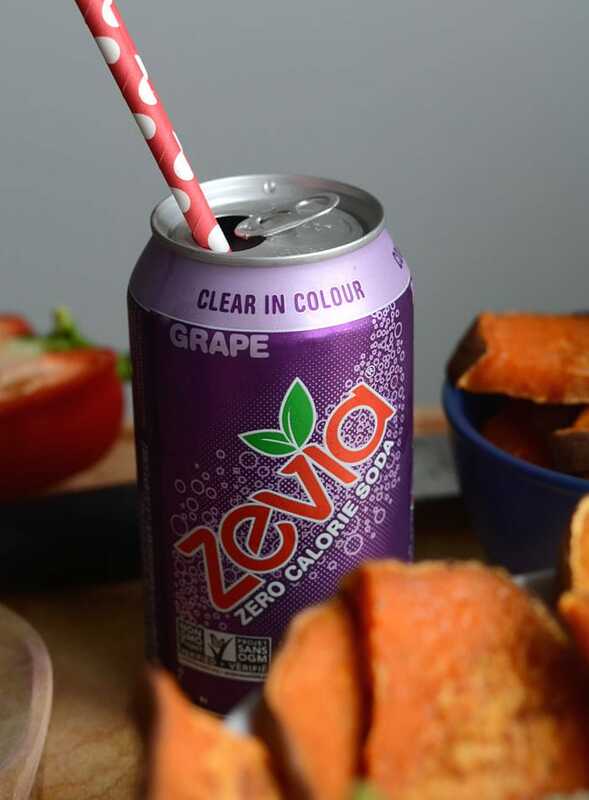 It’s also just super fun, bright, colourful and positive and they seem to be having a lot of fun over at Zevia! Check it out! Consuming and benefiting from the right amount and ratio of foods after a workout is referred to as the “window of opportunity”. During this time our muscles are primed to accept nutrients that can stimulate muscle repair, muscle growth, and muscle strength. The window opens immediately after training and stays open for about 30-60 minutes. Feeding your body properly during this time is key to recovery and growth. I have two steps in my post-workout nutrition plan. Step 1. Drink a protein shake immediately after finishing my workout. Drinking a post-workout protein shake immediately after training is a quick and easy way to kick start the recovery process. Protein shakes are easily digestible, meaning you can get protein and amino acids to your muscles at top speed. They’re also quick and convenient to slam back after training and can hold you over until you have time to eat whole foods. I keep a shaker cup with protein in my gym bag then just fill it with water and slam it back immediately after finishing my WOD. If it was a particularly hard training session or lasted longer than 60 minutes, I’ll also eat a banana, or a few medjool dates and make my protein shake with chocolate almond milk. You can also include creatine, BCAA and/or glutamine at this time. Step 2. Eat a prepared meal within 30-60 minutes of finishing my workout. Once I have time to sit down and eat something, it’s time to get some carbohydrates and essential fats in too. During this 30-60 minute nutritional “window of opportunity” it’s important to eat a well-balanced meal to help the body recover and ready to train again tomorrow, or maybe even later the same day! Time to eat those carbs! Eating carbohydrates after training helps to replenish energy stores and other nutrients lost during exercise. A 4:1 ratio of carbohydrates to protein is considered to be ideal for a post-workout meal. I wouldn’t worry too much about being exact but try to include a good amount of carbs, some protein, and a little bit of essential fats. I would recommend including some greens in your meal as well as plenty of liquids and something to replace lost electrolytes if you sweat a lot! Which in CrossFit is probably a given! I love the combo of black beans and baked yams and together they provide the ideal macronutrients to re-fuel after a workout. Try them on top a big bowl of spinach with a spoonful of hemp seeds, fresh red pepper and a simple fat-free herb dressing. This is so easy to make: mash chickpeas and mix with lemon, vegan mayonnaise or avocado, diced red onion, diced celery, hot sauce (optional), salt and pepper. I love to prep a batch of chickpea “egg” salad on the weekend so it’s ready for quick meals during the week. I eat it on it’s own, stuff it into a pita or make a sandwich piled high with spinach. Beans are an idea post-workout food because they have the perfect ratio of carbohydrates to protein and are also low in fat. These two ingredients make a great combo of carbohydrate and protein. 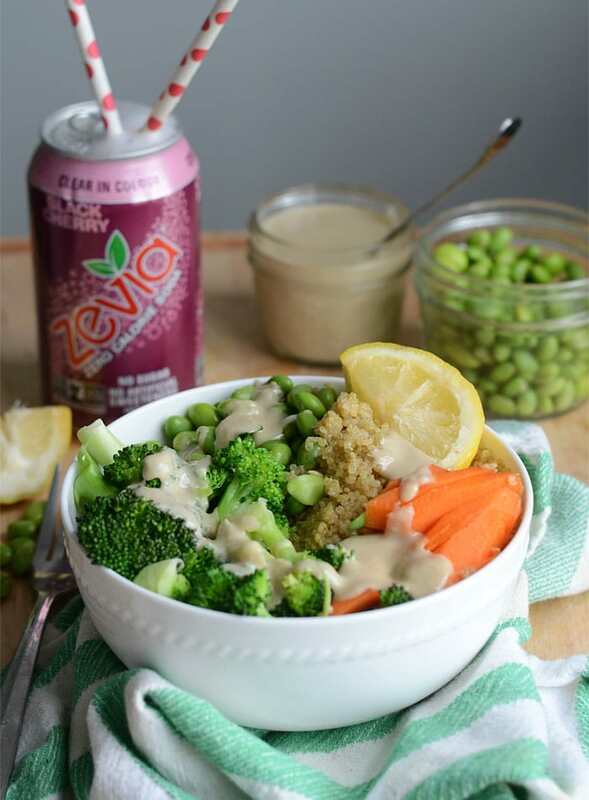 Mix in some steamed broccoli, chopped carrot and drizzle with tahini to cover all your bases! Tahini is also a great ingredient for vegans and vegetarians due to it’s high iron content. I like to add plenty of vegetables to my post-workout meals in order to load up on vitamins, minerals, phytonutrients and antioxidants, all of which contribute to recovery. If you train early in the morning like me, your post-workout meal will most likely be breakfast. I eat chia seed oats with protein and fruit almost every morning and it’s one of my favourite breakfasts. Simply mix together 30 g of chia seeds, 30 g of oats, 1 scoop of vegan protein powder and 1.5 cups of almond milk and place in the fridge overnight. In the morning, add your favourite toppings and dig in! Cherries are great choice post-workout due to their anti-inflammatory benefits. Some other great sources of carbohydrates after training are potatoes, rice, brown rice pasta or grains such as amaranth, barley or kamut, plantains, butternut squash or some sprouted grain bread, some other sources or protein include tofu, tempeh, lentils or any other beans and healthy fats could include things like almonds, walnuts, cashews, sunflower or sesame seeds or peanut butter. Just think plenty of carbohydrates, some protein and a little fat and you’ll get the hang of creating fun, delicous and healthy post-workout meals! Keep in mind, recovery doesn’t stop with your post-workout meal; you’ll want to eat again a few hours later, this time focusing more on quality protein. 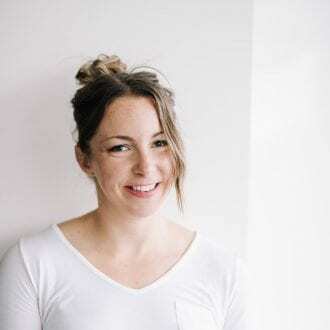 And there’s more you can do that doesn’t involve food — stretching, self-massage, contrast showers, sleep, rest and foam rolling all play a part. Developing a post-workout nutrition and recovery plan is so important because the faster you recover the faster you can get back in there and hit it again! And if you’re a fellow CrossFitter like me, you know you just can’t wait to hit that next WOD and get those gains! Train hard, eat well, recover well, repeat. 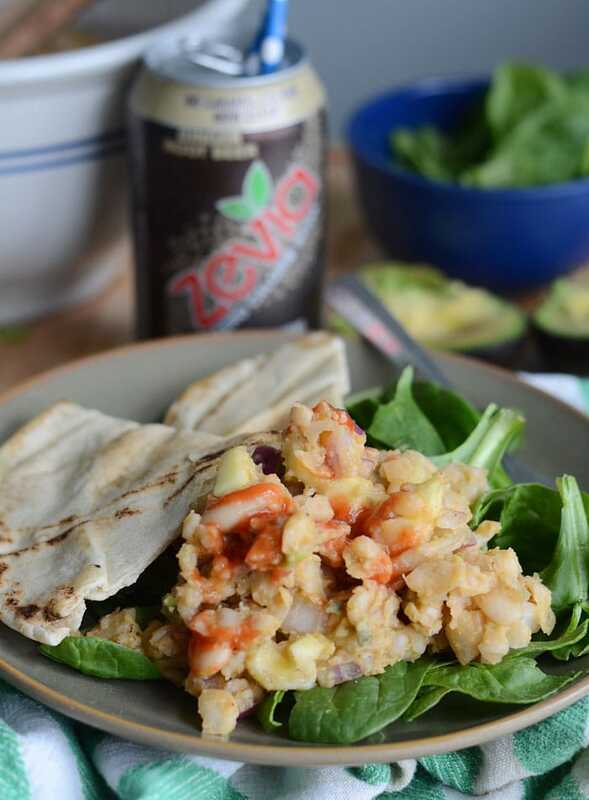 Thank you so much to Zevia for sponsoring this post about post-WOD nutrition. I think it’s amazing that Zevia is sponsoring the 2016 Reebok CrossFit Games and taking on the big guns in the soda game. I’ll be watching the Games via the live feed this year and I’m rooting for my favourite ladies and heroes Camille Leblanc-Bazinet, Lauren Fisher, Kara Webb, Sam Briggs and Sara Sigmundottir. Watching these strong, beautiful women from around the world crush it out there is so inspiring and motivating to keep training hard and improving!! Will you be watching? 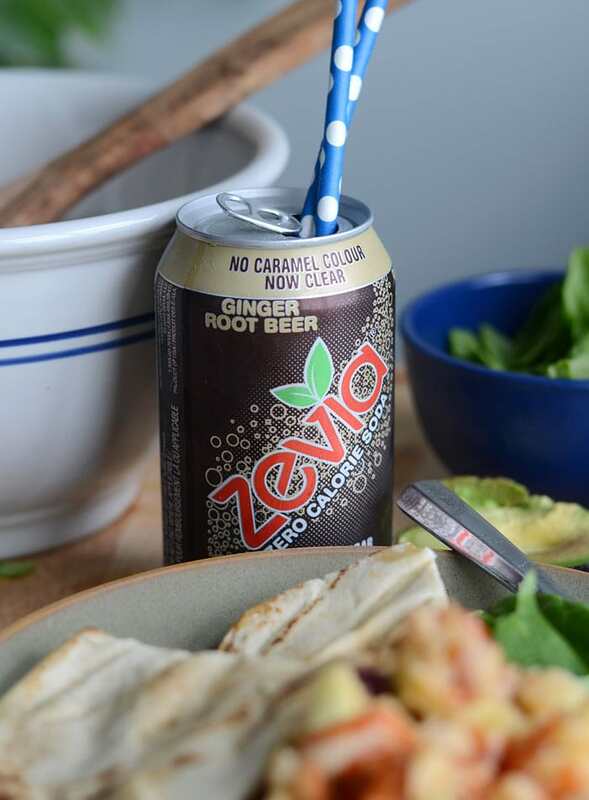 For more information on Zevia Zero Calorie Soda, visit their website. I don’t do CrossFit (yet! ), but I’m hoping to get into it eventually. It’s the $$$ that’s holding me back. But I could even see these post-workout meals being great for after a tough run (which is what I do now cause it’s free!). 🙂 That quinoa & edamame bowl looks especially amazing. Huge zevia fan here. Sounds odd but I look forward to one after all long day when I’ve been perfect with my diet. Deryn, I run a large nutrition podcast and would love to have you on as a guest, I just need 30-45 minutes on Skype. Can we set this up?